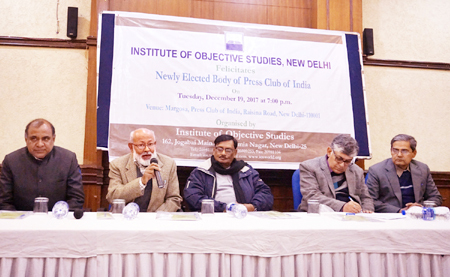 The Institute of Objective Studies (IOS) organised a programme to felicitate the newly-elected office-bearers of the Press Club of India (PCI) at the PCI building in New Delhi on December 19, 2017. 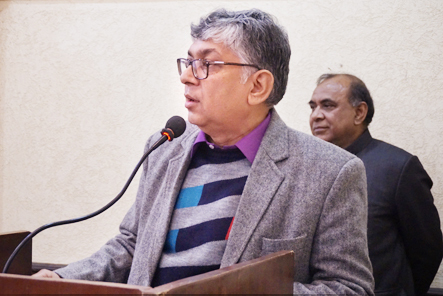 Speaking on the occasion, the chairman, IOS, Dr. Mohammad Manzoor Alam, commented that the media was losing its credibility as dissemination of news and views was influenced by owners who by and large subserved the interest of the ruling dispensation. It appeared that certain elements with an agenda that negated secular and democratic values were setting the discourse in media at the instance of the political class with allegiance to rightist views. With regard to the electronic media, he said that the news channels were serving as propaganda outlets for distorting facts and dishing out manufactured news. Relating to various issues and incidents, sensalisation of news had become their forte and they were brazenly harping on bits of disinformation that were tendentious. Instead of realising the ill-effects of the propaganda that they aired, there seemed to be a rat race to outdo others in misinforming viewers, he said. It would not be out of place to assert that Indian news channels had done a great disservice to the nation. They failed in their duty to advocate the virtues of India’s plural society, communal harmony and national integration. Instead, today’s media was more interested in highlighting manufactured social tensions, artificially created communal divide and elitism than promotingsocial equality and communal amity. 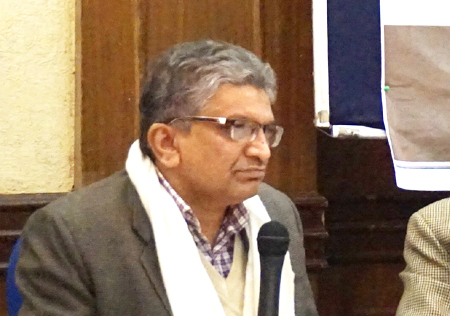 He advised mediapersons to focus on justice, equality and fraternity in order to uphold high constitutional values. He asked the media to also give space to alternative views which went unrepresented. In this connection, he made a special reference to the Urdu press that mainly highlighted the issues of Muslim community. He also pointed out that the communication gap between scholars and media had of late widened, which needed to be narrowed. 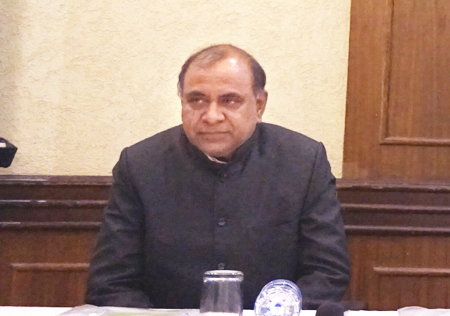 The newly-elected president of the PCI, Gautam Lahiri, emphasised the need for bridging the gap between English language press and what the British administrators called vernacular press with a view to making Indian journalism more vibrant and inclusive. He explained that his organisation stood for upholding the rights of journalists as well as freedom of the press. It also advocated constructive and objective criticism. He informed that PCI had mooted a plan to host a monthly programme on the issues affecting journalism and its profession. Experts and scholars would be invited to participate in the programme every time a book or other major text written by a journalist would be debated. The proceedings of the programme would be made public. He expressed happiness that the Urdu press had also been given representation in the Press Club. He said that the content carried by the Urdu press should also find a place in English, Hindi and other regional languages. 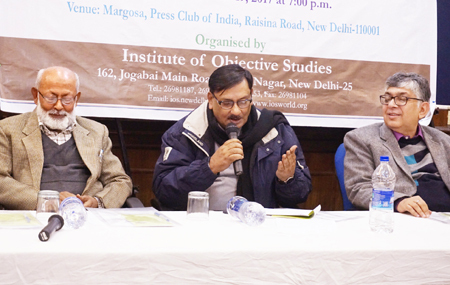 Secretary General, PCI, Vinay Kumar, held that the culture of questioning in the media had to be promoted. He also asked media professionals to spend time on studying books on various issues so that they could become more informed, objective and analytical. He said that the PCI would encourage socially inclusive journalism, which devolved greater responsibility on the vernacular press. He informed that training programmes and workshops would be organised for young journalists. The president of the All India Majlis-i-Mushawarat, Navaid Hamid, said that the felicitation programme organised by the IOS was an effort to bring media closer to society. He expressed the confidence that journalists would strengthen the fourth estate and make it truly independent. 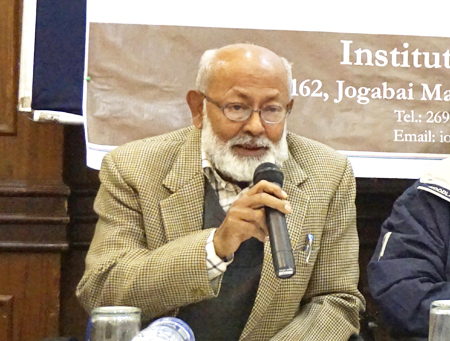 The Director of A J Kidwai Institute of Mass Communication, Jamia Millia Islamia, Dr. Iftekhar Ahmed, called for better coordination between the PCI and the institutions teaching courses on journalism so that freshers could get a foothold in journalism. 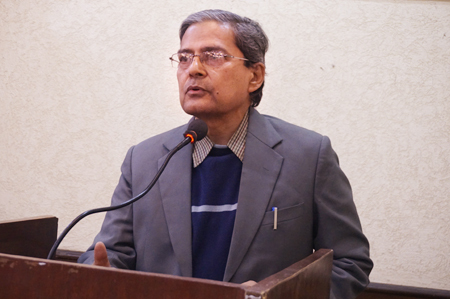 Professor of Law, GGSIP University and assistant secretary general of IOS, Prof. Afzal Wani, focused on the role of law in the context of media. He said that free press was vital for the supremacy of the rule of law and sovereignty of the Constitution. 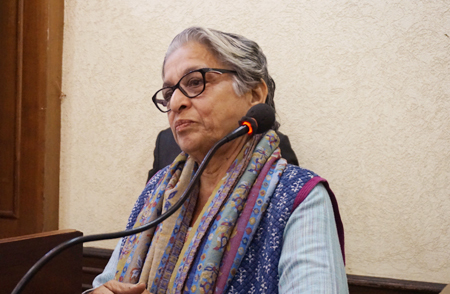 Usha Mahajan, who has translated most of the works of Khushwant Singh into Hindi, asked the new generation of journalists to emulate him by using simple and effective language to communicate to the readers. 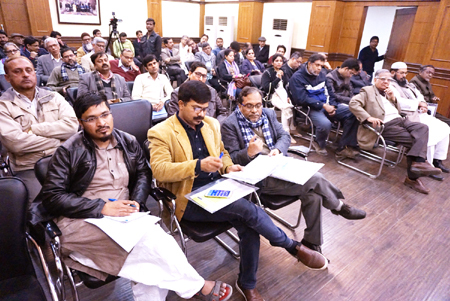 Bureau chief of the Voice of America, Urdu Service, and a member of the PCI, Suhail Anjum, presented a lively write-up on activities of the PCI. 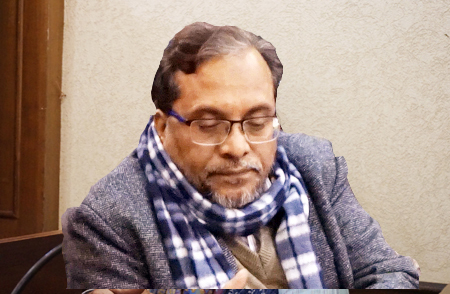 The editor of the Urdu weekly Chauthi Duniya and a member of the executive committee of the PCI, AU Asif, conducted the proceedings. The felicitation programme was attended by a number of journalists from electronic and print media. Prominent among them were Nadim Ahmed Kazmi and Sharad Sharma from the NDTV, senior journalist, Bansi Yadav, editor of the UNI Urdu service, Abdussalam Asim, chief editor of Urdu weekly Dawat, Parwaz Rahmani, Rana Siddiqui from the English daily The Hindu, special correspondent of The Times of India, Mahua Chatterjee, chief sub-editor, The Statesman, Quamar Ashraf, Moin Ahmad from The Times of India, Amir Salim from Urdu daily Hamara Samaj, Hina Haq from the Urdu daily Akhbar-e-Mashriq, editor, Rashtriya Times, Vijai Shankar Chaturvedi, Bureau Chief Daily Rising Kashmir, Abdul Bari Masoud, Tariq Anwar from the news portal News Click, Ashraf Ali Bastawi from Asia Times news portal, secretary general, IOS, Prof. ZM Khan, secretary, Central Waqf Council, Qaiser Shamim, general secretary, All India Muslim Majlis-i-Mushawarat, Maulana Abdul Hameed Nomani, editor, Millat Times, Shams Tabrez and assistant editor, Chauthi Duniya Urdu, Waseem Ahmed.